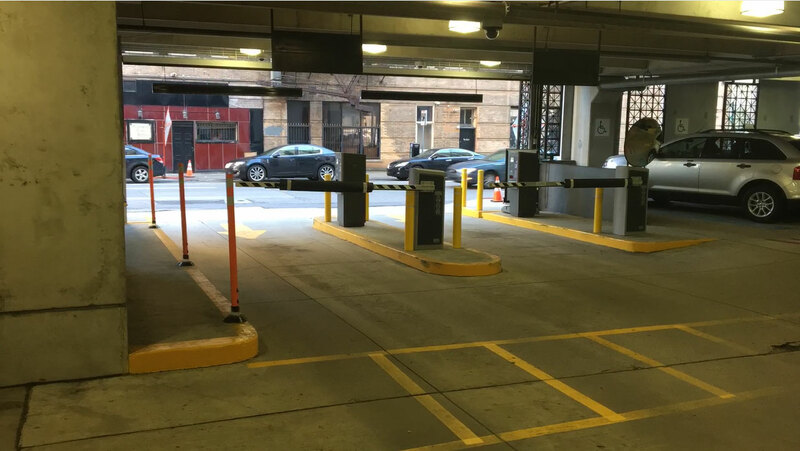 parking revenue control, building access control, and high-security barriers. Traffic & Safety partners with many of the industry’s leaders for parking, building access, and high-security barrier systems. When it comes to parking, building access, and high-security barriers, experience counts! Traffic & Safety Control Systems was founded in 1974 and team members have an average of 20+ years of experience. Out-of-box thinking – You can count on the Traffic & Safety team to come up with creative solutions to your most challenging conditions and problems. We innovate! Tenacity – The Traffic & Safety team doesn’t give up until a system is fully integrated and working seamlessly. Ability to Integrate – Today’s systems are complex. They’re comprised of components from a diverse group of manufacturers. It takes experience and skill – finesse – to get the various parts and pieces of a system working together flawlessly. We love a good puzzle! Customer satisfaction – The Traffic & Safety team is utterly committed to serving you well. It’s who we are. We go “above and beyond the call of duty” to serve you! Traffic & Safety is Michigan’s longest running Amano McGann distributor. Based in Wixom, Michigan, Traffic & Safety is family owned and operated, and serves clients throughout Michigan and Northern Ohio. Call on the team at Traffic & Safety when you need turnkey parking and traffic, building access, and perimeter control solutions! Since 1974, Traffic & Safety has specialized in the distribution, installation, and support of advanced vehicle access control systems in the State of Michigan. Traffic & Safety is a complete systems integrator, offering a full range of parking control products and services, including swing gate operators, parking booths to meet your specific needs, and more. Traffic & Safety’s solutions are backed by a professional team of technicians who are skilled and experienced, and who go beyond your needs to deliver fast, efficient service! It’s a team that’s qualified, responsive, and available 24/7 to help you keep your system or facility operating efficiently. When it’s critical, the Traffic & Safety service team is here for you! Things have really changed in the 43-plus years Traffic & Safety has been in the parking management and access control business! Today’s parking and access control systems are complex. They bring together up-to-the-minute technology from a diverse group of suppliers and manufacturers, and solve some very complex problems.